As fate has it, you wake up one morning to discover your machine will not boot. “Of course this can’t happen to me, it only happens to ‘other people’.” No matter what you think, hard drive failures can happen to anyone. You. Me. The neighbor down the street. The business owner downtown. It doesn’t matter. It happens eventually. Whether your system cost $500 or $5,000, a drive failure can really put a crimp on your plans. After all, the most valuable portion of your system is usually the data contained on the drive. When you encounter a hard drive failure and/or data loss, your first thought is, “Do I have backups?” It is most often the case that backups of your data are non-existent, or if they are, they are severely outdated copies, which have been heavily modified on the now-faulty drive. What this guide is going to do is try to help you, the panicked user, to recover data off of that hard drive. Sometimes data can be recovered, sometimes not, but these tips will increase your chances of doing so. First off, an operating system that will not boot is sometimes mistakenly recognized as hard drive failure. Viruses, spyware, corrupted installations/uninstallations, or any kind of tomfoolery within the operating system may render it non-bootable. 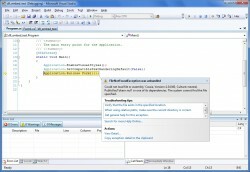 However, this is usually the easiest situation where data can be recovered. If you actually want the operating system working again, that’s a whole other story, and more than what will be covered here. There can be any number of problems or combinations of problems occurring that cause some sort of boot failure. Either a Google search or a visit to the PCMech Forums may prove useful in repairing the operating system. So, what exactly is in a hard drive? Basically, you have a stack of platters onto which data is written. 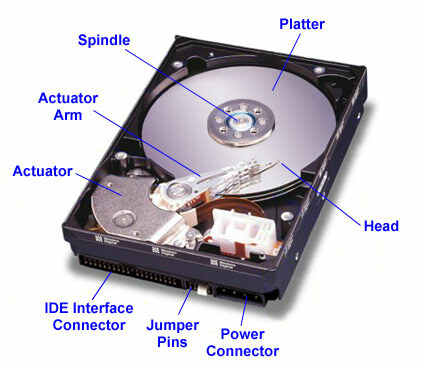 There is an actuator arm affixed with magnetic “heads” which read and write data on the drive’s platters. The actuator arm sweeps back and forth along the radius of the platters, while the platters are spun at a constant speed. Operating in this fashion, the heads can have access to the platters in their entirety. The data is written by the heads on each of the platters at a microscopic level where each bit is either a 1 or 0, depending on which way the bit is flipped. A bit is composed of two bands of magnetic iron particles, which can be represented as polar rods. Seeing as the heads are electromagnetic in nature, these bands can be flipped one way or the other, thus producing a “1″ or a “0″, referred to as a “bit”. Eight of these bits used together is a byte, and depending on the way the disk is formatted, there is a specified number of bytes assigned to a sector. 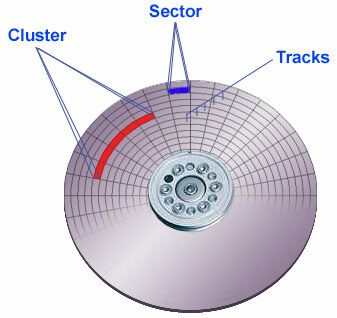 Then, an assigned number of sectors are grouped into clusters. Usually the smaller the cluster size, the more efficiently the space is used. On the other hand, the larger the cluster size, the more wasted space there is, but generally produces a slight increase in performance. Either way, the most efficient cluster size is set automatically with a default setting when you format your drive, depending on its capacity and file system used. Most of this probably sounds ambiguous, but it’s only to give general idea of how the hard drive operates and to make sense of some of the references later on in the article. Needless to say, the important concept in data recovery is not how the hard drive actually works, although it helps to have a general understanding of it. Should you want to recover something that has been deleted, it is more important to understand how deleted files are handled.